During the fully automatic application of heat conducting pastes, the correct dosage is a decisive factor. An overdosage of heat conducting paste impairs the thermal resistance, too little paste leads to thermal overload. 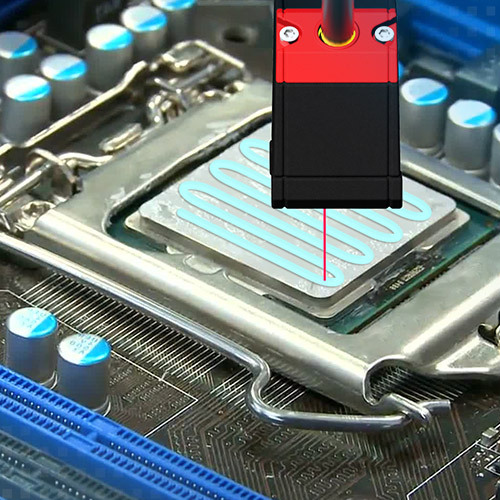 The height of the paste bead is therefore detected using a laser triangulation sensor.